The 2017/18 Netball season was an exciting one for Sponne students Poppy Waldron (8RB) and Madeline Pritchett (8RB) who represented Northants U13 in the Regional Performance League. 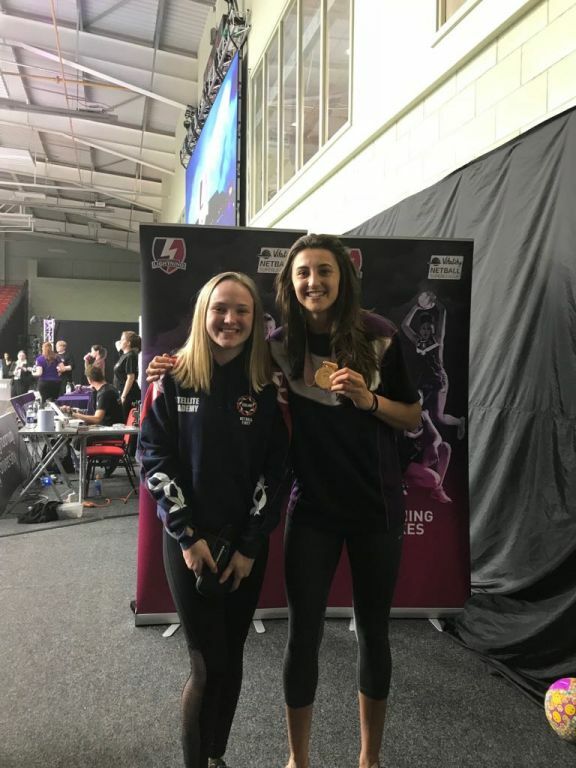 The girls were part of a very successful season for Northants, beating teams from Lincolnshire, Leicestershire, Nottinghamshire and Derbyshire which earnt them a place in the final at Loughborough University. The Final was between Northants 1 and Northants 2 and after a nail-biting end to end game, the girls unfortunately suffered defeat at the hands of the other Northants squad. Finishing in 2nd place the girls are extremely proud of what they have achieved and are looking forward to next season. The presentation took place after the final game where the girls received their medals form the newly crowned Commonwealth Gold medallist Beth Cobden freshly back from Australia. 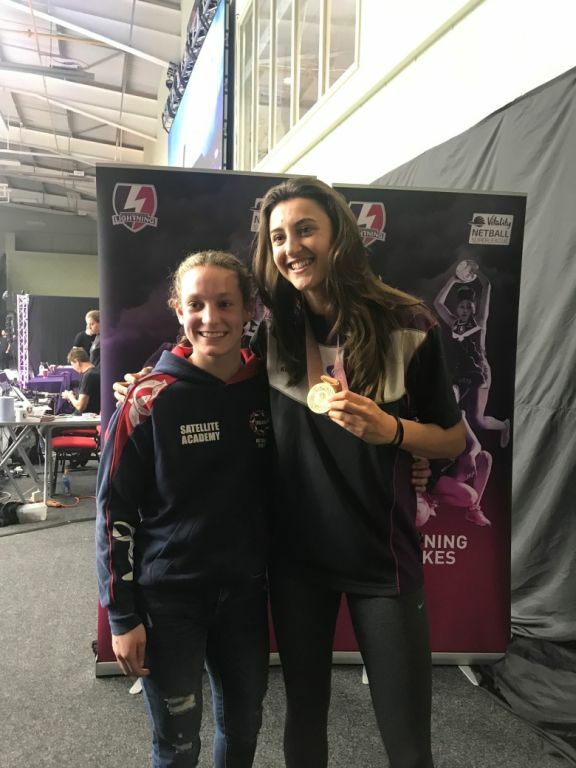 Beth then went on to play for our local regional team Loughborough Lightening alongside silver medallist Shamera Sterling from Jamaica. Well done girls, exciting times for netball.